Let’s face it, you can’t learn about the whole world sitting inside a classroom. School trips are all about getting out and about and experiencing first hand some of the things you’ve read and been told about . For children, learning and personal development is essential for the healthy growth of body and mind, which is gained through experiences both in and outside the classroom. School trips can vary greatly in their nature and their scope, from a quick walk to the local park to study its plant and animals life, to a weeklong expedition abroad to learn about a different country’s history and culture. There may be visits to places of our own historical interest such as Hampton court or Stone Henge, or places that will fill your child’s mind with wonder and awe like science museums or great cathedrals. National Trust areas might help children to understand natural beauty and the importance of environmental conservation, and trips to theatres or musical performances can expand your child’s mind creatively and artistically. Ask your child’s prospective school teachers as to what school trips are available throughout the calendar and what trips have been successful in the past. Also ask any students around, as they will give you greater ideas as to what they have enjoyed and gained most from. Private education will provide a child with more opportunities to have enriched school trips, due to the extra money at their disposal. Also with smaller classes and a smaller school in general, there is a greater freedom for the children to have a variety of places to go and see as smaller groups are easier to organise and control. The value of education conducted outside the classroom is priceless. Children love the great outdoors; it encourages an active lifestyle and stimulates the learning process in a challenging and diverse way. Think back to your childhood and at school; is the periodic table more memorable, or that geography field trip where Jimmy Kendle dropped his ice cream on the shoe of a tour guide teaching you about the wonders of Canterbury Cathedral? Pupils will learn to socialise and get to know other children out of the confines of the school grounds. It also gives them a chance to learn to spend time in public without their parents, gaining valuable independence which will be needed later in life. A lot of planning and organisation goes in to arranging school trips. A familiarity with laws and regulations by teachers, parents and children is of the utmost importance. Failure to take these into account can lead to unfulfilling and unenjoyable experiences, and in the worst case scenarios missing or injured children. There are certain legal risks involved with taking children outside of the classroom and schools should have policies in place. A senior teacher with responsibilities should have the support of other teachers, in informing the school, children and their parents as to budgets, and travel journeys plus and itinerary of the trip. This makes communication clearer amongst all those involved and provides assurance to both children and their parents that the educational visit and stay is organised sufficiently. There must be appropriate ratios of teacher to student, of at least one teacher to fifteen students. All individuals working with children are now checked with enhanced disclosure through the Criminal Records Bureau (CRB). If the school offers trips to adventure parks or specific venues for educational visits, it is necessary that the people who work there understand and have a long history of working with children, with specifically thought out days with plenty to engage and control the children involved. 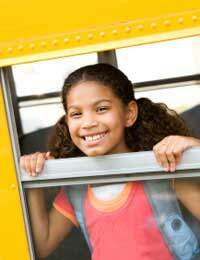 School trips are important in order to provide a student with an alternative to text books and lectures. Listening and taking notes in a classroom does not provide a student with the whole picture, and engaging and participating in activities outside helps a child understand more about the world, broaden social skills, as well as helping enlighten pupils about the national curriculum, it’s purpose and it’s applications to the real world.